In this 10-session study, you will examine key passages in the life and writings of Paul, exploring what Paul came to know about Jesus—his peace, grace, power, love, and sacrifice. This section introduces the topic, explains the structure followed in each study, and offers tips for those approaching the study on their own as well as those participating in a group. The setting of Paul’s letters to Timothy are intensely personal. Paul wants to teach his young protégé what it means to be a pastor and evangelist. We can study and discover the Jesus Paul knew so we might be better prepared to worship and serve Jesus in our everyday lives. In this dramatic scene, a relatively unknown evangelist in the process of turning the world upside down testified before a Roman puppet king. Paul makes his purpose clear and ties everything to Jesus. The setting of Philippians is Paul’s imprisonment in Rome. He had helped to start a church in Philippi. These new Christians became his strong friends and stood by him. They were his means of comfort in dark times. In his second letter to the church at Corinth, Paul reveals more of what he learned about Jesus. He is intensely personal, even when teaching them some basic theology based on Christ’s peacemaking mission to the world. Paul gave up all his rights when he met Jesus. His commitment cost him many painful encounters, including time in prison in Rome and being separated from his beloved friends in Philippi, who played a major role in his learning to know Jesus. Romans 8 is where Paul changes direction in his letter to the Romans. Now his theology demands application to life. How better to begin than to show how Jesus leads us safely through the storms of life. Paul’s personal reflection in this letter to the church at Corinth makes it clear that the cross was a choice, no matter how much this idea clashed with current pagan and Jewish ideas. His letter showed he stood for the Cross of Jesus in the swirl of a fierce cultural and religious battle. In this letter from prison, Paul assured the Christians in Philippi that the gospel was advancing in Rome in spite of adverse circumstances. He assured them that he was content, relying upon the power of the risen Christ living in him and expressing appreciation for the practical assistance sent to him by his sisters and brothers at Philippi. In this letter to the churches in Galatia, Paul strongly confronts distortions to the gospel. All that Jesus stood for was at stake; for Paul, there was no middle ground. 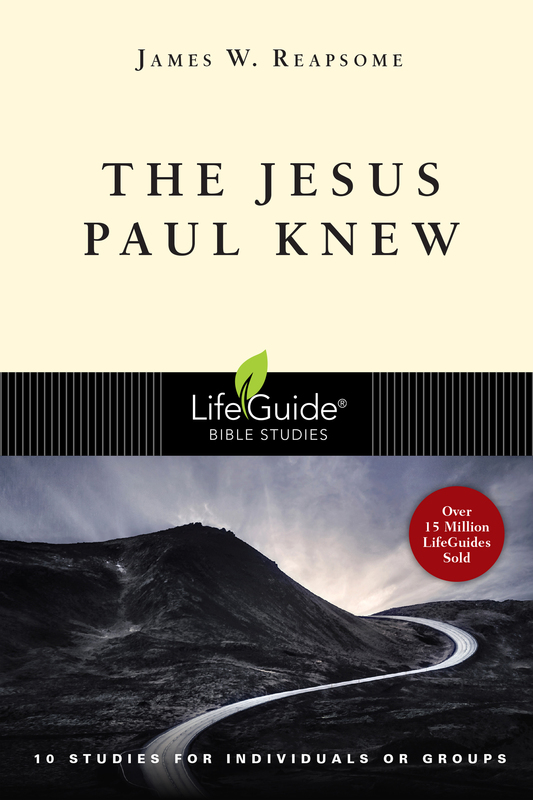 Paul’s knowledge of Jesus plumbed the depths of Christian theology. This passage speaks to how we, too, can grow in the grace, love, strength, and knowledge of Jesus. James W. Reapsome was a pastor and served as editor of Evangelical Missions Quarterly and the World Pulse newsletter. He was the coeditor of Innovation in Mission and the author or coauthor of LifeGuide studies such as Exodus, Hebrews, Grief, Marriage, and Songs from Scripture. Receive full access to training tools, Bible studies and articles. Get access to 100+ training tools and 100s Bible studies all for one low price. Notice Due to arrangements with content providers, this tool isn't offered as part of the site subscription. Sign Up For Our Newsletter Regular access to innovative training resources, Bible-based curriculum, and practical articles.